Narayana Murthy, Chanda Kochhar, Kishore Biyani, Zia Mody, K.V. Kamath, Ajay Piramal, Amit Chandra, Ganesh Natrajan, Renuka Ramnath, P.P. Chhabria, Pradeep Bhargava, Deep Anand, Capt. Gopinath, Mallika Sarabhai, Shaheen Mistri, Sanjeev Kapoor, Jatin Das, and Prakash Padukone They say a daughter may outgrow your lap, but she will never outgrow your heart. 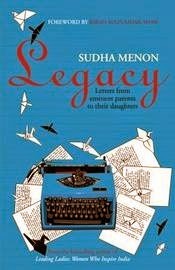 In Legacy, noted journalist and author Sudha Menon brings forth a rare collection of personal and evocative letters from parents to their daughters. Through their fearless approach to life, love, and overcoming obstacles, these icons from the world of business, arts, films, food, and sports share with us their experience and wisdom as they pass them on to their daughters. Deeply moving and thought provoking, Legacy is a remarkable collection of life lessons that will delight and inspire at the same time. Sudha Menon is the bestselling author of Leading Ladies: Women Who Inspire India and ajournalist with over twenty years of experience. She has worked with the Independent, theHindu Business Line, and Mint, writing on politics, women, health, and business.Sudha is the founder of Get Writing!, a workshop for potential writers, and is also passionateabout Writing In the Park, an initiative that she has started to get people out of their homesand spend time in the outdoors, writing in public parks and gardens. Sudha has been invited toseveral educational institutions and corporate campuses as a speaker where she talks to women's networks about leadership and diversity issues. She lives in Pune with her family. The moment I had read about this book I knew I had to read this one. It had so many of my loves wrapped inside one. Letters, written by some of my favourite people, to their daughters ( how I love them!!) – me being a daughter this book spoke to me at a level where perhaps only a daughter could have connected. I fell in love with this book to put it simply. Each and every letter seemed to hold the secret to life in a very profound manner. We have seen these people as successful entrepreneurs in their own fields talking about the development and growth for our country. But seeing them as parents doting on their children was an overwhelming experience. For at the end of the day however successful we become family is what defines us in the most perfect manner. Not for a moment did I feel that they were addressed to their children, I felt they were all talking to me. Allowing me a glimpse into their lives, showing the lessons they learnt and asking me to hold their hand as they took me through LIFE- As they saw it. It would be injustice to select a favourite from these letters as each one of them is a gem to be treasured. I am going to give this book as a gift to my daughter – granddaughter (when I will have them in future) as it reflects what I would have perhaps wanted to tell them at some point in life. The author has retained the simplicity throughout the book with letting the emotions free to play with our hearts and minds ending up to be a wonderful and joyous read. A perfect ode to the most wonderful treasure – Daughters. A must read for each and every woman out there, makes an excellent gift to parents and daughters both… will let them know how special they are for this is what the book is – SPECIAL! 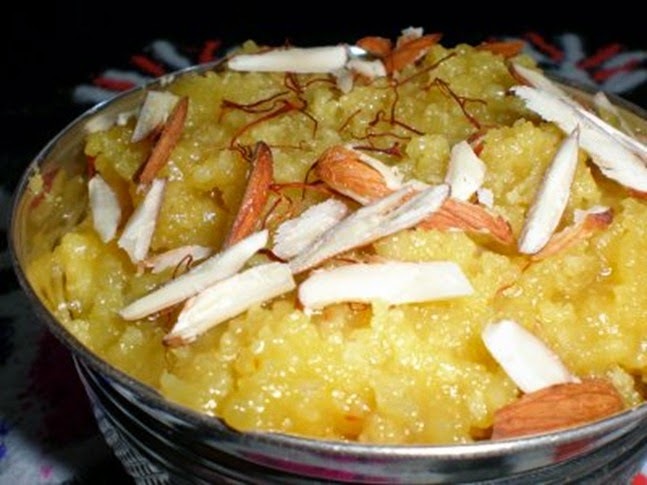 This book is like badam halwa for that is the most fondest and oldest memories I have of my childhood.